Since the early 1990s, Architectural Granite and Marble (AG&M) has made a name for itself – and garnered a strong regional base -- by offering a wide selection of premium hard surfaces from its facilities in central Texas. Today, the company -- now Architectural Surfaces Group (ASG) -- is rapidly building a national presence with 23 locations from coast-to-coast and net sales of $224 million. As part of Atlanta-based Select Interior Concepts (NASDAQ: SIC), ASG is a company on the move. ASG, in tandem with corporate companion firm Residential Design Services, makes Select Interior a player in 15 of the 20 most-populous U.S. metropolitan service areas. The corporate connection – and capital -- gives ASG the ability to acquire stone companies; during the past two years, it’s brought businesses like Pental Surfaces and Bedrock International into the fold. 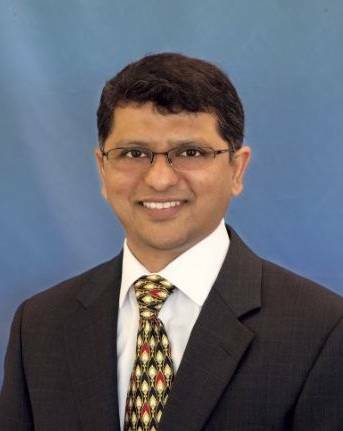 A catalyst for the big changes at ASG is company president Sunil Palakodati. Hired in 2016 as AG&M’s CEO, Palakodati brought a diverse background, including management in the cabinetry and countertop division of home-improvement giant Masco Corp. Since then, he’s brought the company into Select Interiors and embarked on an aggressive growth strategy. Stone Update caught up with Palakodati earlier next year to find out what’s next for ASG. A few years ago, Architectural Surfaces Group was known mainly as a strong regional stone company. Now, it’s an integral part of a national public company. What put it on the fast track? SUNIL PALAKODATI: ASG’s strong growth over the last several years and what we believe to be exciting future growth prospects, helped put ASG on the fast track. When I came in two and a half years ago, I came in to basically build this platform of what has become ASG today, and the anchor was AG&M. It was a company with five locations at the time and today we have 23 locations from coast-to-coast. So, my vision was to drive products, expand the customer segments and then geographically expand either through acquisitions or through opening our own locations. We've been methodical in most cases to get there. So, we're about four and a half times larger than when I came in. It's been a substantial growth; not all mergers and acquisitions. ASG’s and Select Interior’s expansion isn’t happening at random. What’s the strategy? PALAKODATI: The strategy is to continue to add value to existing customers by adding distinctive high-quality new products, while enhancing service. We also intend to enter into new markets, either via greenfield or acquisition, where we believe we can compete very effectively. Is more expansion coming with ASG’s side of the business? PALAKODATI: Yes, and we will continue to expand in a very organized and thoughtful manner. There's still gaps in the country that we can fill. In terms of the product, porcelain is still up and coming There are still plenty of customer segments for us to get into that we have never played in as the traditional ASG organization today. We have the critical maps, we have the critical footprints, now let's get a little bit more thoughtful and a little bit smarter: : which is better, which is faster, which is easier to do. Select Interior Concepts offers services to different markets. From ASG’s standpoint, how do you define your customer base? PALAKODATI: ASG’s customers are fabricators who cut and install slabs, installers and other sub-contractors, kitchen and bath dealers that display our products in their showrooms, regional and national homebuilders, as well as commercial architects and designers. ASG emphasizes the customer experience, as we see in high-end retail products like new cars. Tell us more about this. PALAKODATI: The purchase of a new home or a remodel project is typically a stressful experience given the sheer number of product decisions that need to be made. Product performance, as well as individual taste must be considered as part of the decision-making process. We attempt to make the selection process fun and exciting by creating a welcoming showroom environment wherein our knowledgeable sales staff collaborates directly with consumers to ensure that they are fully informed and ultimately delighted with their selection. In our lifetime, we buy eight to ten cars. When you buy a car, you get to go in and test-drive it, sit it in, experience it, and if you don't like it, return it. If you bought it and said, "My needs changed. I no longer need a car. I actually need a truck because I bought a ranch," you can always go back and sell it. Yes, you'll take a little loss on it, but at the end of the day, you can sell your car and buy a truck. For a kitchen or master bathroom, most people do kitchens twice in their lifetime, so we don't have a lot of experience. Kitchens cost $30-$40,000 to do, most people cannot visualize it in a three-dimensional way. For example, I can show you the sample, and you're going to go from old cabinets to this carbon-white-looking cabinet, and we're going to put this quartz, and people have a hard time seeing that. The (virtual) visualizers close some of the gap, but the customers don’t actually get to experience it. My argument, my view for this industry – and the challenge to this industry including myself – is that we are underserving and underperforming from the customer experience perspective, compared to many other industries. The companies that are dealing with the solution will gain tremendous market share and customer loyalty. The way you can achieve that is similar to how Ikea is doing rooms. You can go and look at a kitchen. In our showrooms, you start showing vignettes and the colors and how do they feel. What’s the most-interesting thing ASG has learned from customers in the process? PALAKODATI: We have learned that this is a stressful process and that there is a fair amount of anxiety around making the wrong choice. We work very hard to provide customers detailed product information and a wide selection of all product types so that they are confident in their final choice. At the end of the day, you need to have the product knowledge. You need to have the application knowledge. When you talk to a homeowner, you have to know who they are, what kind of things they're looking for in their life and choices they have made. You can get a little bit closer to helping them understand what their choices are. I think this is a tremendous opportunity for the industry to improve. What’s been the customer response at ASG to some of the newer surfaces, such as slab porcelain/ultracompact? PALAKODATI: Generally speaking, customer reception to our new products, including our porcelain line, has been very positive. The ability to install our porcelain line outdoors and utilize it as wall cladding provides customers with additional installation opportunities. I think the new materials open up new opportunities because the porcelain is a thinner format. The feedback I'm getting from the field is the porcelain has unique advantages in countertops; you can go outside and not worry about it, it’s much more durable. ASG offers a large variety of quartz surfaces. How do you see the issue of tariffs – both the 302 tariffs on all Chinese goods and the ones coming from the Cambria complaint – affecting your business? PALAKODATI: The majority of our quartz imports were not purchased from China. In addition, we continue to diversify our supplier base, ensuring little to no disruption to our supply chain. How do you think it will affect the hard-surface market overall? PALAKODATI: It is hard to say what the ultimate impact will be. However, we are well-positioned across all product types and price points should the mix begin to shift. What type of countertops do you have in your home? PALAKODATI: I have natural stone in the kitchen and on my fireplace, quartz in the bathrooms and porcelain on my floors!